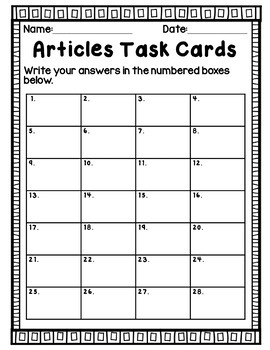 Use these 28 fun task cards to have your students practice with the articles a, an, and the. 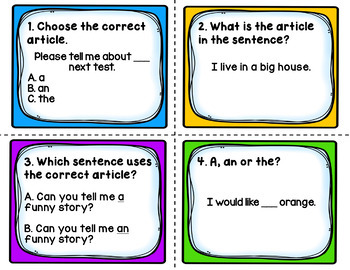 These task cards will allow students to identify and use different articles by providing a mixture of fill-in-the-blank and multiple choice. There are 2 sets of task cards, one set in color and the other in black and white if you would like to save ink. These task cards will work well at language arts centers, for partner work, or with the whole class game Scoot! There are also 4 "Take a break!" 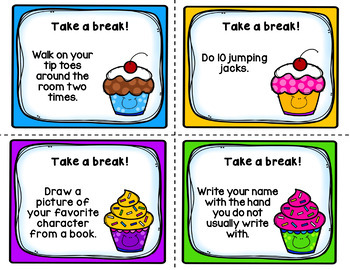 cards to provide students with a brain break.